Product prices and availability are accurate as of 2019-04-16 00:15:00 UTC and are subject to change. Any price and availability information displayed on http://www.amazon.com/ at the time of purchase will apply to the purchase of this product. 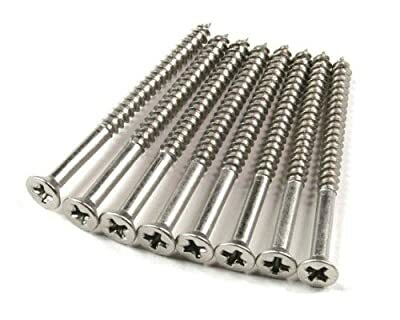 Replace your stripped screws with these longer screws and strengthen the mounting by penetrating the wall stud. Sold in packs of 96.